A complex mixture of hydrocarbon and oxygenated solvents designed to clean and degrease all flat and irregular surfaces. 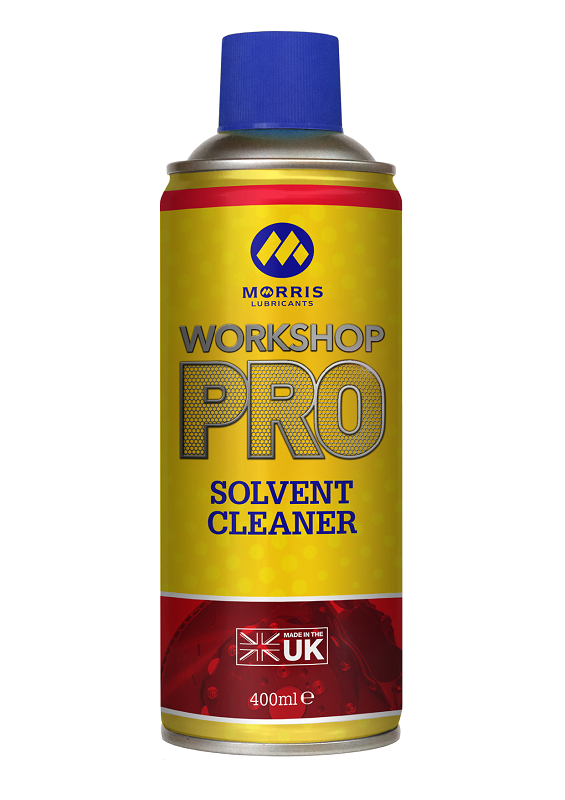 Workshop Pro Solvent Cleaner is free from chlorinated and other ozone depleting solvents and is provided in aerosol form to provide an easy means of applying to surfaces, the powerful jet allowing easy purging of blind holes and crevices. After degreasing, the solvent evaporates rapidly leaving components chemically clean and free from oily and corrosive residues. The low temperature resulting from rapid evaporation may, in some instances, be used for shrink-fitting of small mechanical parts. Particularly designed to remove all dirt and deposits from brake shoes and to evaporate leaving behind no residues. 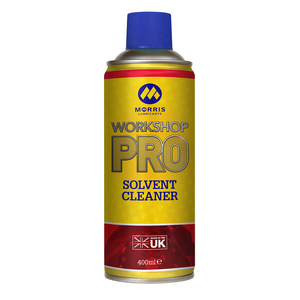 Also recommended for general degreasing applications in a workshop environment. Note: Due to the flammability of the product Solvent Cleaner is not recommended for use on electrical equipment, particularly where “sparking” may occur.